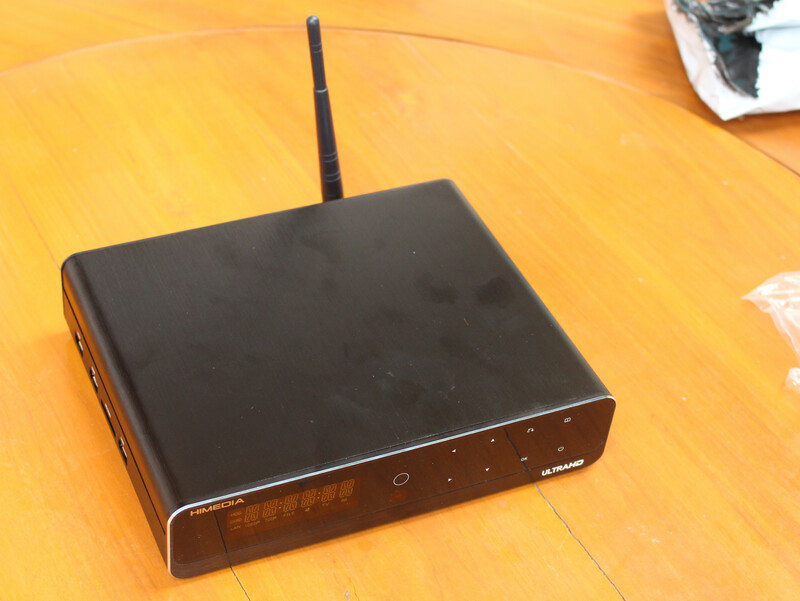 HiMedia Q10 Pro Android TV box was launched in March of last year, equipped with a HiSilicon Hi3798CV200 quad-core ARM Cortex A53 processor, 2GB RAM, 16GB flash, and a SATA bay for 3.5″ drives. 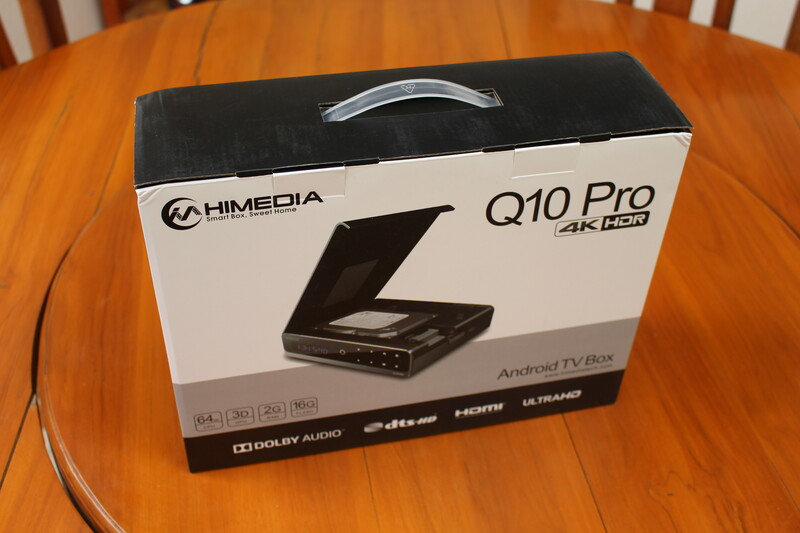 When I wrote a post about the Best Android TV boxes, on commenter mentioned that while NVIDIA Android Shield was the best box for streaming, he felt HiMedia Q10 Pro offered the best quality for media playback. With now 18 months since launch, you may wonder why I would do a review now. That’s because Himedia keeps updating the firmware, and they asked me to check out and test their latest feature: 4K Blu-Ray navigation on Android 7.0 OS. As usual, I’ll start by checking out the hardware, and will publish a review focusing on Blu-ray playback in a few weeks. The package is more like a suitcase that your usual tiny box, but that’s common for high-end TV boxes. It also shows the main features like 4K HDR support, Dolby and DTS-HD audio and so so. 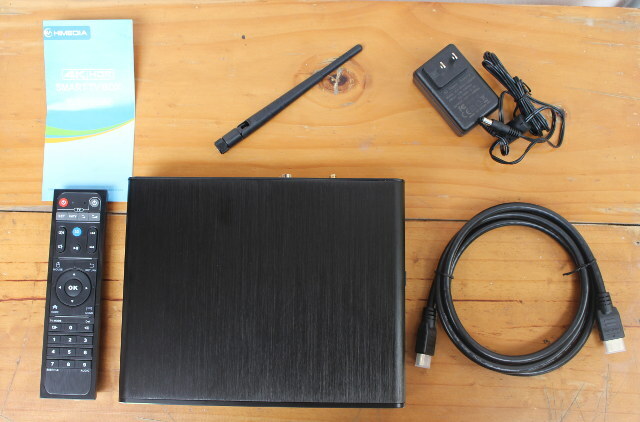 The box ships with an IR remote control with IR learning function for 4 keys, a WiFi antenna, a HDMI cable, a 12V/2A power supply, and quick guide describing the remote control functions, and explaining how to connect the device to a TV and/or amplifier. The build quality feels very good, and the box is entirely made of metal. The left side features all USB host ports with one USB 3.0 port, and two USB 2.0 ports, as well as a SD/MMC slot. The rear panel has vents for the cooling fan, a WiFI antenna connector, a USB 3.0 device port to connect the box directly to your computer, optical and coaxial S/PDIF output, 3 RCA jacks for composite video and L&R audio, a Gigabit Ethernet port, HDMI 2.0a output, a recovery pin hole, and the DC jack. 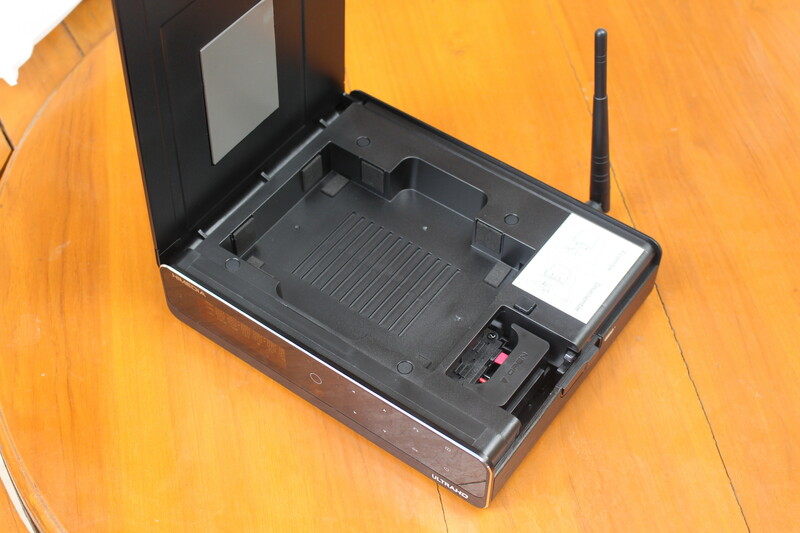 The remaining side comes with a button which you can slide to open the SATA bay. 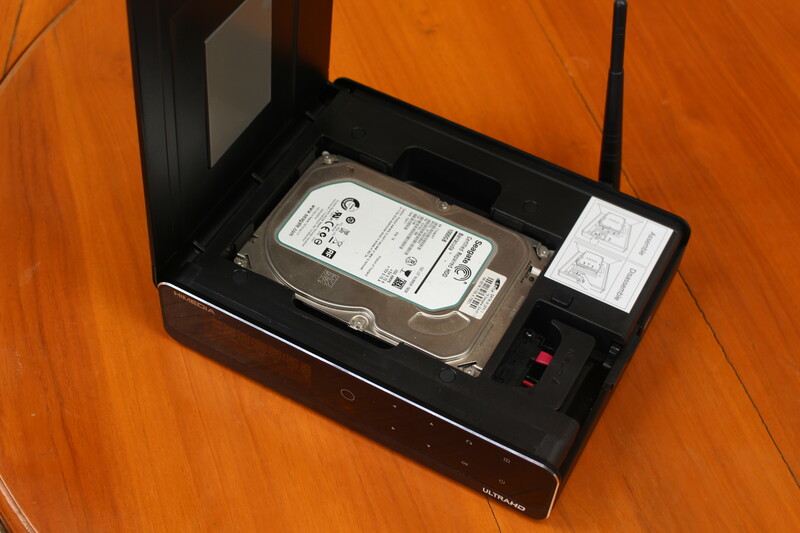 Installation is super easy, just insert your 3.5″ SATA drive push the “Open” handle, and close the lid. At this point, I normally do a teardown, but I found it not to be so obvious, and since the device is old enough, somebody else already did one. My TV Box. I went through 1.0.8 with Lollipop, then I jumped ship to Nougat firmware. I have a love/hate relationship with it. The stock firmware is still not as good as CFW, tested on almost all firmwares starting with 2.0.1. HiMedia included a few things like the BluRay menu, which is a nice addition, but does not do much for me. On a second thought, I do have an external USB BluRay writer that I could use with my Q10 Pro (my BluRay collection started growing quite nicely). I am waiting for your opinion, it is a sort of a “After the buzz” review, that many do not do.